Houston Police Officer Ta Lam was setting up and removing traffic barriers during the Cinco de Mayo parade in downtown Houston on Saturday. Lam, a Vietnamese-American is a Houston native. Lam served 8 years with the Navy in San Diego, California before joining the Houston Police Department. He’s been with HPD for 5 years and is a patrol officer. Today Lam shared his thoughts on this month dedicated to Asian Pacific American heritage and working for his hometown. During May, Asian Pacific American Heritage month celebrates the generations of Asian and Pacific Americans, their contributions to America and its future success. 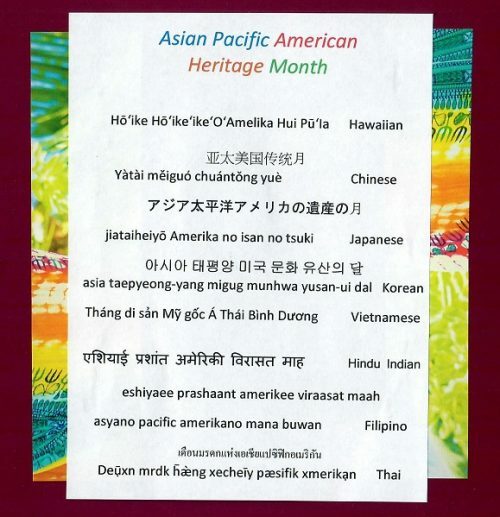 This entry was posted in America Remembers, Asian Community, Asian Community Houston, Celebrations, Community Events, Harris County News and tagged Asian Pacific American Heritage Month, Houston Police, Houston Police Ta Lam. Bookmark the permalink.